Where I grew up it was not common to see homeless people living on the streets. But when I was out with my mum shopping we might occasionally see someone sat outside our local Sainsburys or huddled in a corner of a building trying to keep warm. As a young child I found these people a little scary & I often wondered what had led to them being there. I remember that my mum never just walked passed them, she always stopped, & instead of giving them money she asked if she could buy them some food. They always said “yes”. My mum’s actions have stayed with me & I too offer to buy homeless people food when I can. However I am often left feeling helpless even if I have done so because I do not like the idea that they are left out in the cold. I have never been told who can help them & sometimes, even if there is a local organisation who can help, it is not always obvious who they are & how to get in touch. This can change thanks to a new service called StreetLink which asks the public to report any homeless people they have seen by using their App, phoning 0300 500 0914 or by clicking onto their website. 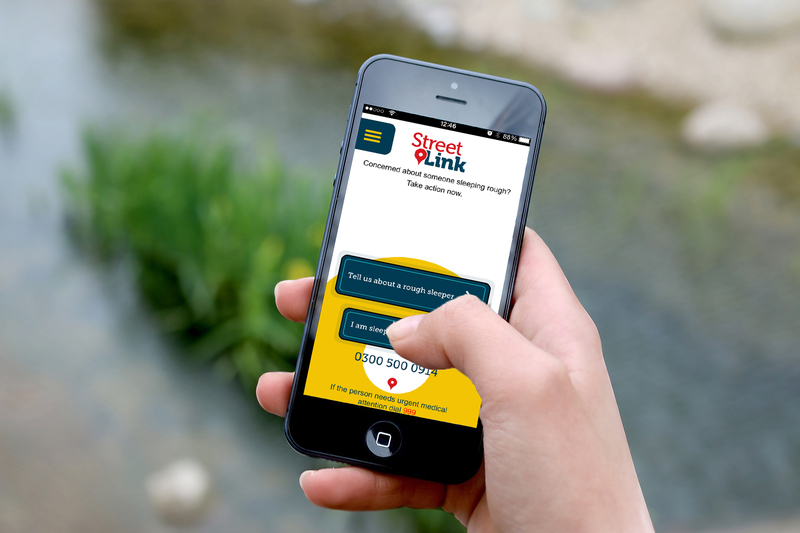 StreetLink then contacts the local council & makes sure that each person is helped out. StreetLink is based in London but covers all of England. They are currently in discussions with Welsh & Scottish administrations in the hope of being able to cover the whole of Britain. The charity is funded by the Government & the Greater London Authority. It is run by the Homeless Link & St Mungo’s Broadway & has only 7 full time staff responsible for it’s phones & website 24hrs a day 365 days a year. When they receive a report they alert the relevant council who can then send an outreach team to offer help & support. This can happen within 24hrs. The person who made the report is also kept updated which means that, should they not be happy with their local council’s response they can do something about it. This entry was posted in News and tagged helping the homeless, homeless people, homelessness, how to help the homeless, sleeping on the streets, sleeping rough, StreetLink. Reblogged this on ENOUGH! : The Boston Homeless Solidarity Committee.